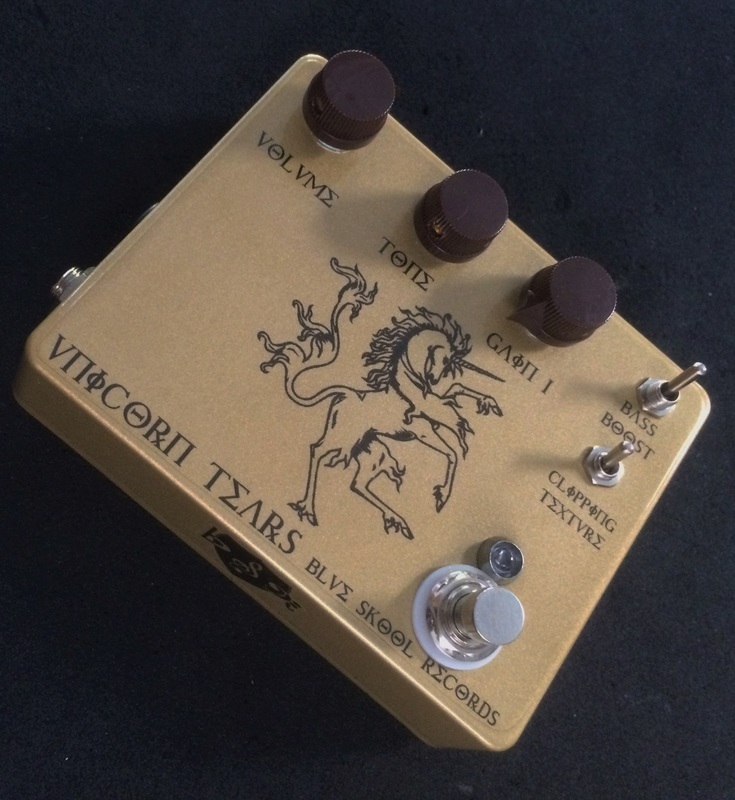 You know that highly over-rated transparent overdrive pedal that goes for absurd amounts of money on ebay and is unobtanium for us common folk? Well, We kloned it, shrunk it, and then made the pedal affordable for musicians other than Metallica, Aerosmith, and SRV. Then we remembered we hated to clone pedals, and decided to improve the overdrive by adding an option for more bass as well as a choice between the original gain profile, or a higher gain crunch tone. Finally, we added only the best components-from the oversized capacitors to the audio-phile grade Op Amp chips. 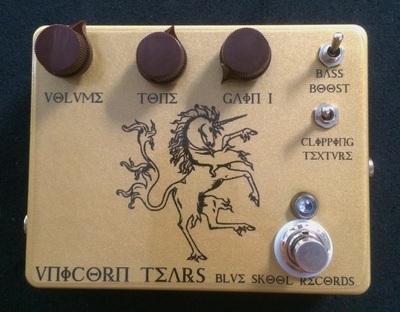 The whole pedal is soldered together using Unicorn-Tear laced flux for some extra mojo and to help you sleep at night. Volume – Sets the out put level of the pedal. Start with the volume and tone at 12 o clock, and the gain all the way down. After finding the setting that sounds as though the pedal is not even on, boost the volume for a bigger-than-life tone. If using a high-quality tube amp, some settings will hit the front end of the amplifier, causing a very natural and pleasing break up. This is how most use this pedal. 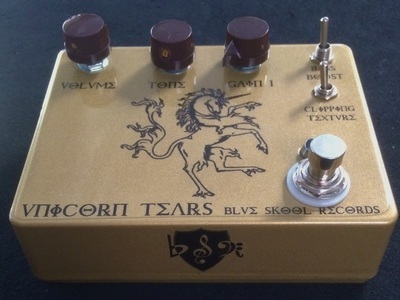 Tone – Start with the tone at noon, and listen to the high-end sparkle and bass response as you turn the pedal on and off. Noon should sound like the pedal is not on, though people’s guitars and amps vary. If the pedal rounds off some the sparkle of your amp while engaged, turn the tone slightly to the left until transparency is achieved. If the pedal is a little too bright while engaged, turn the tone counter-clockwise until transparency is reached. Finally, at higher gain settings, turn the tone control counter-clockwise to reduce added noise and hiss. Gain – Turn the gain clockwise for more grit. 3 o clock on our control is the original pedal at max gain. We added a bunch of extra gain, but at the highest settings, there will be more noise, so adjust the tone setting accordingly.